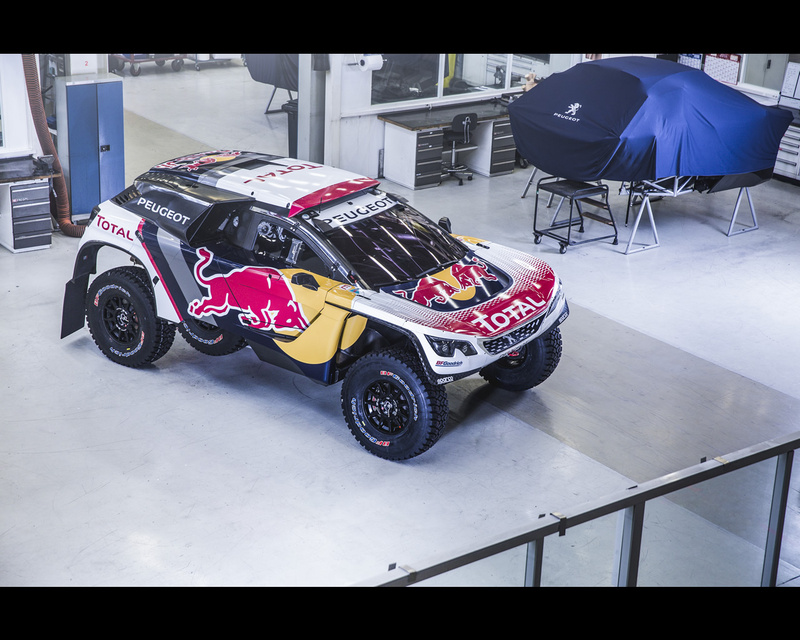 Coming off the back of a successful Dakar and Silk Way Rally campaign with the PEUGEOT 2008 DKR this year, Team Peugeot Total and Red Bull have revealed the new PEUGEOT 3008 DKR. 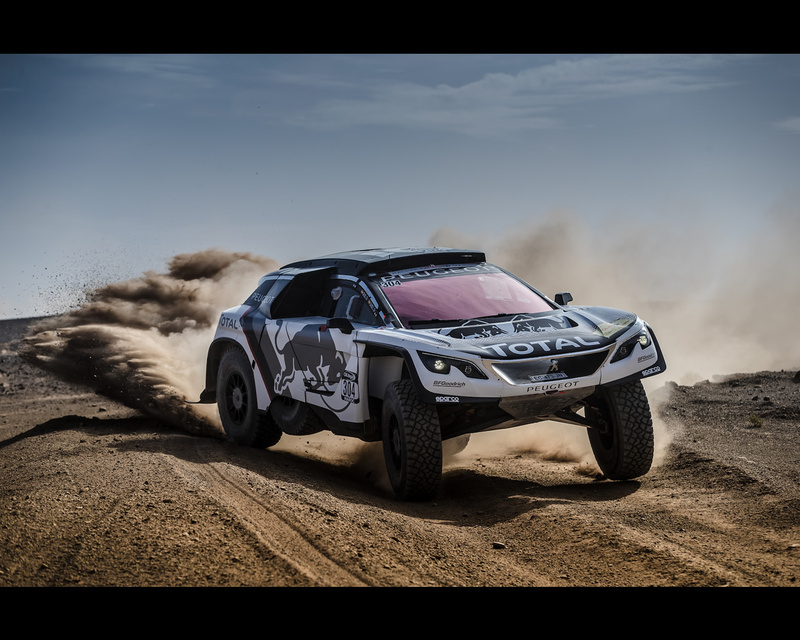 This is the all-new successor to the famous machine with which Stéphane Peterhansel claimed his resounding 12th victory on the Dakar back in January, and Cyril Despres clinched his first win on four wheels on the Silk Way Rally in July. 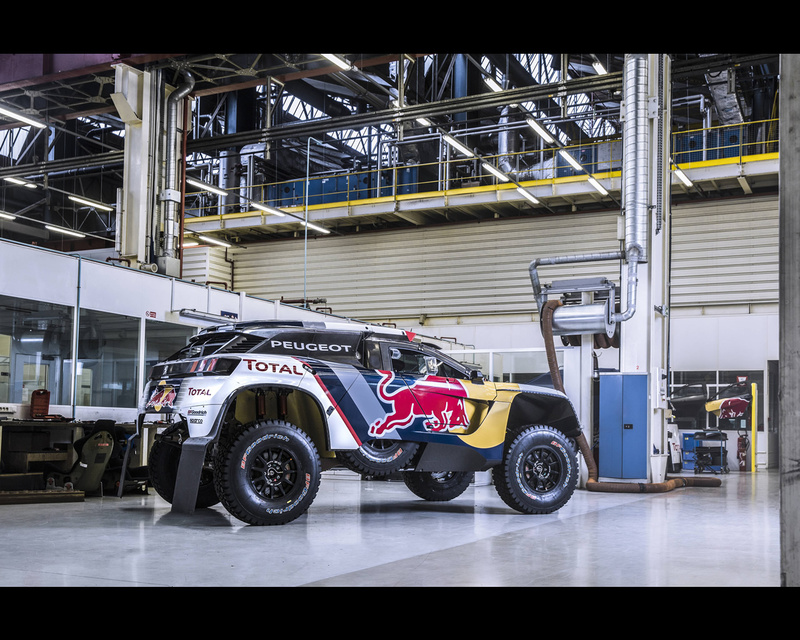 The all-new Dakar challenger is based on an entirely new model of Peugeot SUV, to be revealed at the Paris Motor Show next month, following eight months of intensive work in Velizy, France, since the Dakar finish ramp in Rosario. The new PEUGEOT 3008 SUV forms the inspiration for the latest evolution, following the company’s return to Dakar after 25 years in 2015. 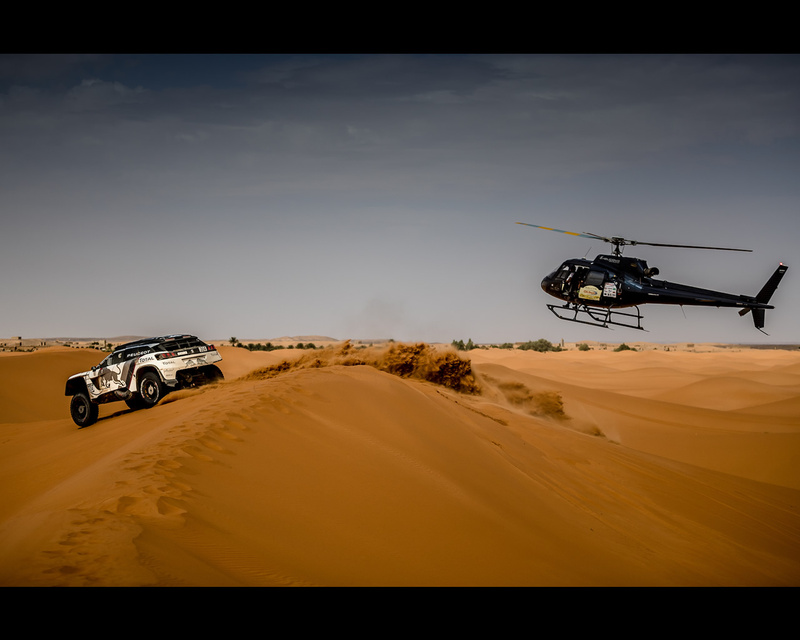 The new PEUGEOT 3008 DKR also remains loyal to Peugeot’s two-wheel drive philosophy, with the first Dakar win for a two-wheel drive car in 15 years nine months ago proving that you don’t necessarily need four wheel drive to conquer the toughest landcapes in the world. Sébastien Criquet is Peugeot’s senior exterior designer, responsible for the aggressive lines of the both the new PEUGEOT 3008 DKR and the corresponding road car. 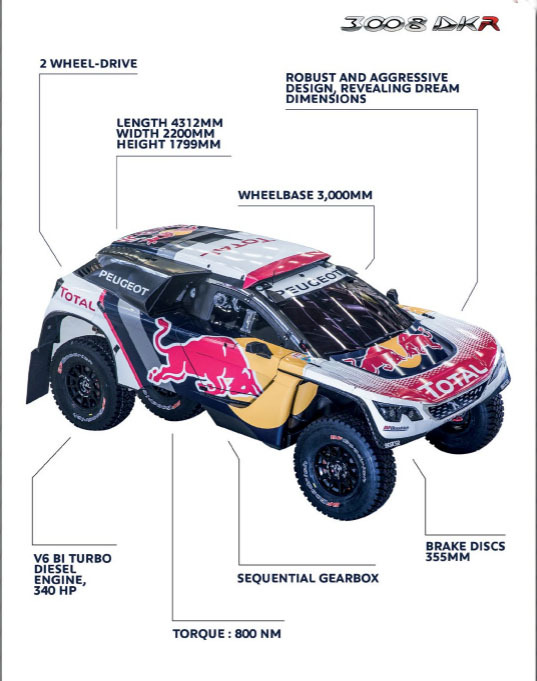 The Dakar car’s dimensions and features are governed by technical rules laid down by the sport’s governing body, but its inspiration is still very clear through a number of unique design cues. Reliability. While the previous car was durable enough to win the Dakar this year and claim nine stages (including seven one-twos), in any competition machine there is always room to improve on reliability. 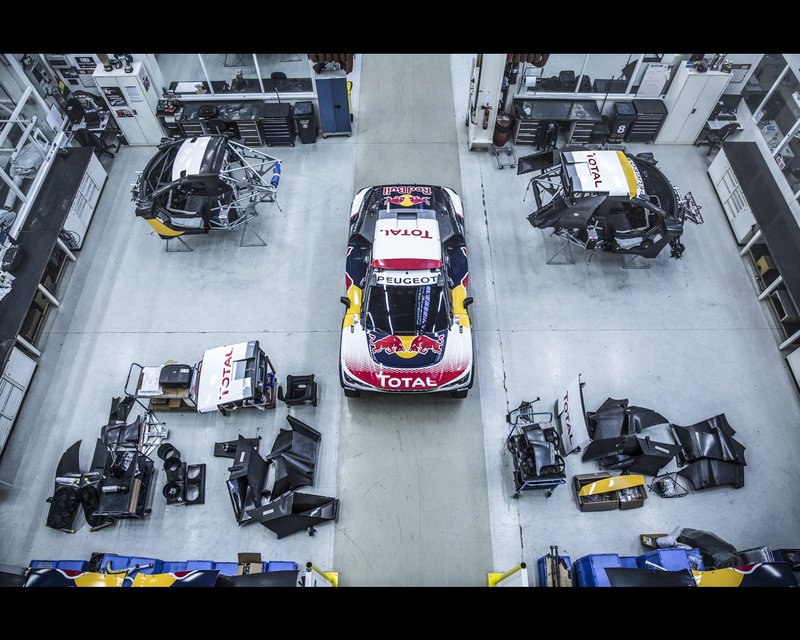 Peugeot Sport’s engineers went through every aspect of the car in fine detail in order to refine the package still further, focussing both on mechanical strength and also complex electronic processes, such as engine management. 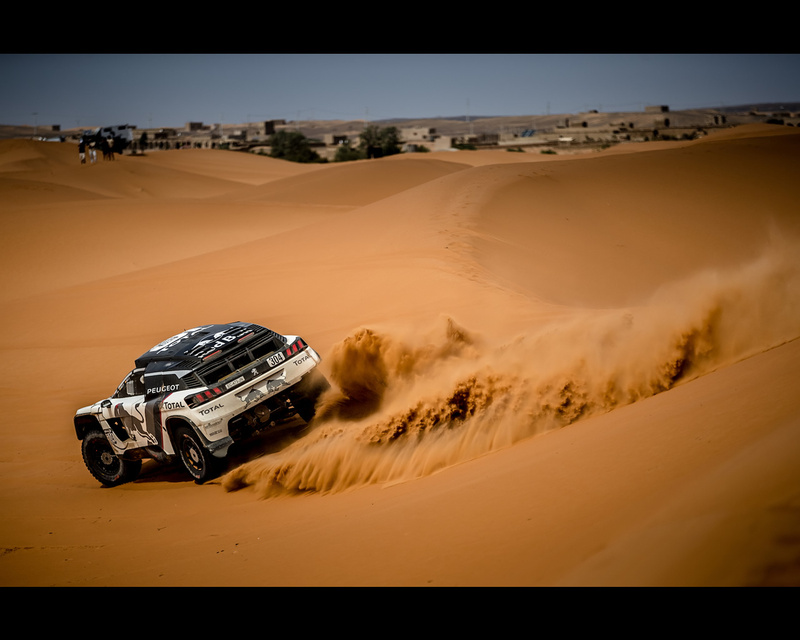 The Dakar is the toughest race in the world, taking in 10,000 kilometres at high speeds and altitudes, which makes it the ultimate test of reliability for any machine. Driveability. 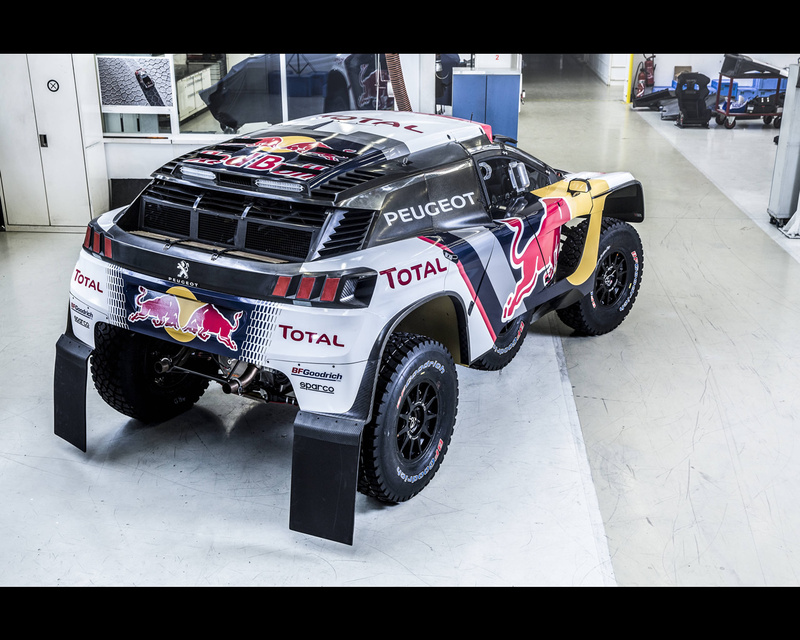 Huge steps were made forward in this area from the 2015 debut to 2016, but Peugeot Sport has now ensured that the car’s 3.0-litre V6 twin-turbodiesel engine is even more driveable for next year’s Dakar, delivering greater torque at lower revs. Adding to the challenge for the engineers is the fact that the latest Dakar regulations have imposed a smaller restrictor on the engine (38mm as opposed to 39mm last year) with a net loss of around 20 horsepower. However, this power is now accessible from further down the rev range, meaning that the car is easier to drive and potentially even faster. Suspension. This is one of the key elements to success on the Dakar, as it governs just how quickly the car can cover the ever-changing untrammelled terrain that is the hallmark of the Dakar, ranging from salt flats, to WRC-style gravel roads, to sand dunes. The suspension was already one of the most impressive aspects of the PEUGEOT 2008 DKR for the drivers, but for the new 3008 DKR further work has been done on the geometry and dampers. The test programme up to now, which has included the 15-day long Silk Way Rally – featuring quite similar terrain to the Dakar – was instrumental in furthering these important improvements. Air conditioning. 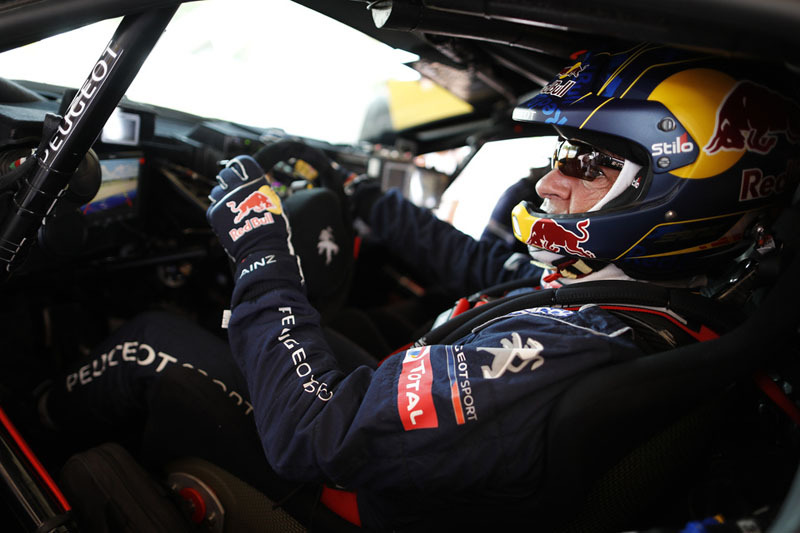 It's something we all take for granted on our road cars, but the air conditioning that was introduced on the PEUGEOT 2008 DKR in Asia this summer has been made even more effective for Peugeot Sport’s latest creation. With crews spending up to 12 hours a day inside the cars, subject to cockpit temperatures in excess of 60 degrees centigrade, the effect of air conditioning on human performance cannot be underestimated. Even though the drivers are super-fit athletes, the improved air conditioning should help them to perform at a higher level and get more out of the car. 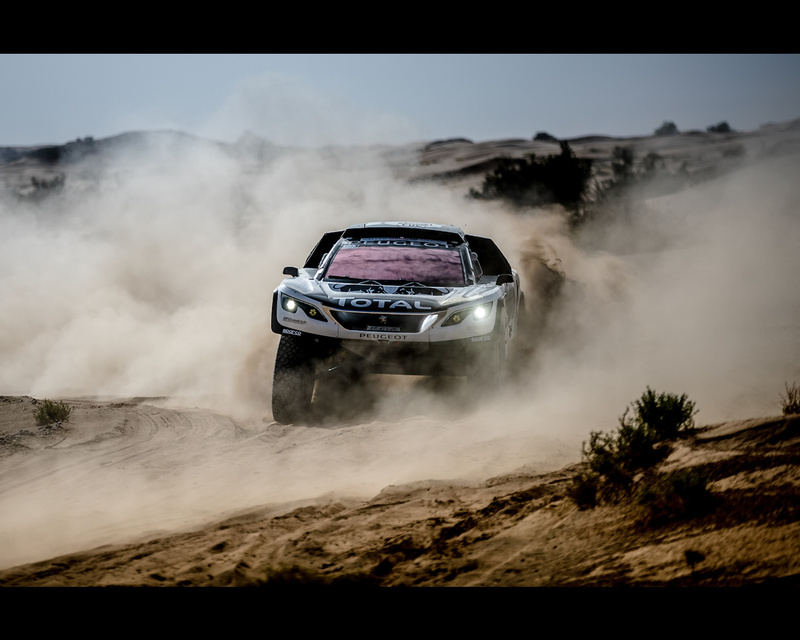 Peugeot Sport will be aiming now for the sixth Dakar win in its illustrious history, with last year’s triumph – in which a Peugeot led every proper stage – coming on top of four wins on the Dakar in Africa between 1987 and 1990. 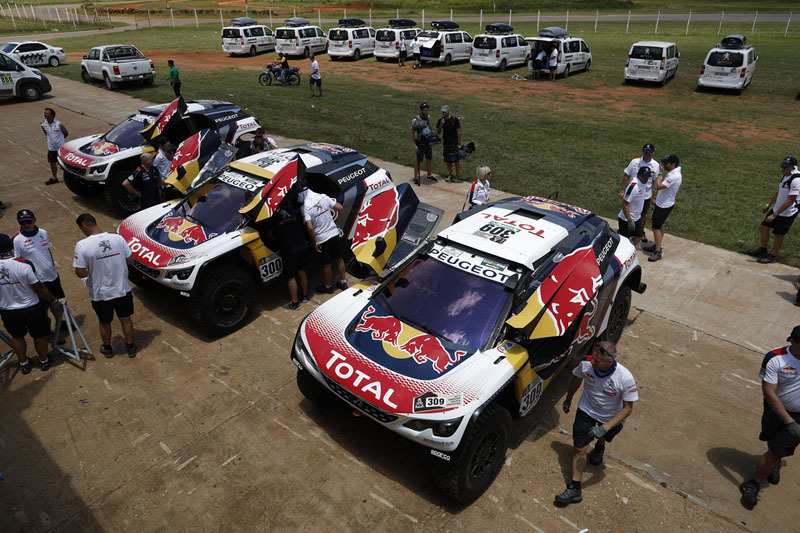 The Peugeot crews have 18 Dakar wins between them and the latest in cutting-edge technology with the new PEUGEOT 3008 DKR but the task ahead is still far from easy with an all-new route this year through Argentina, Bolivia and Paraguay, as well as strong opposition. 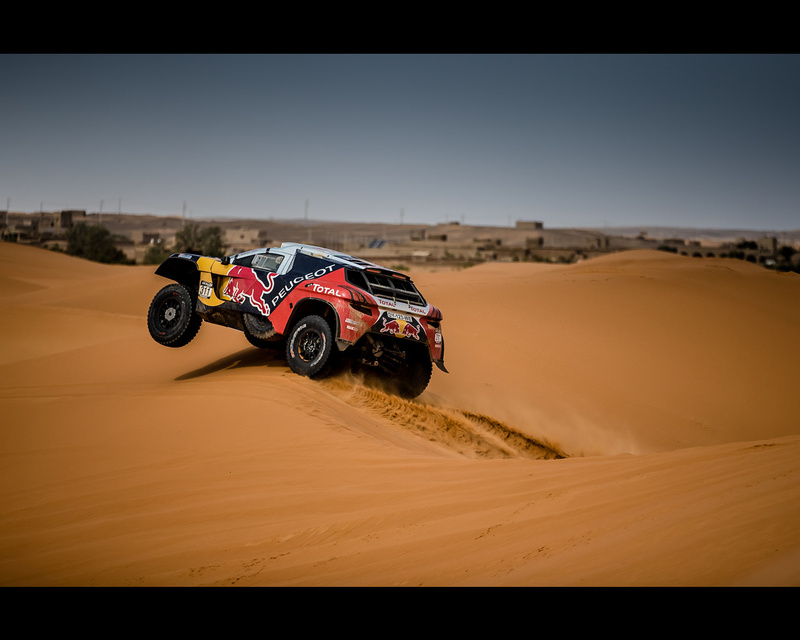 Before the Dakar itself, Carlos Sainz has tested the new PEUGEOT 3008 DKR in race mode against other Dakar competitors and Cyril Despres in the PEUGEOT 2008 DKR, during Morocco’s Rally in October (from October 3rd to 7th). 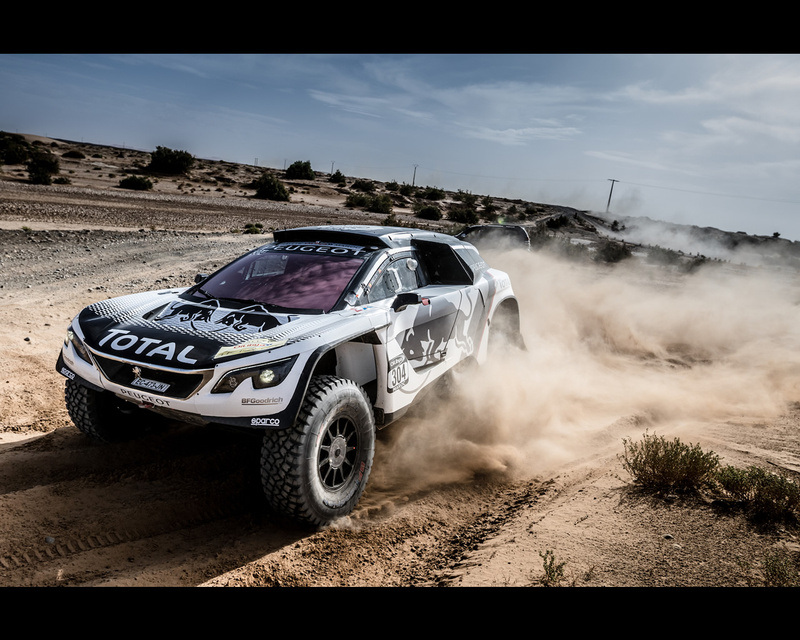 The Peugeot 3008 DKR finished second behind Nasser Al Attiyah in a Toyota Hilux. 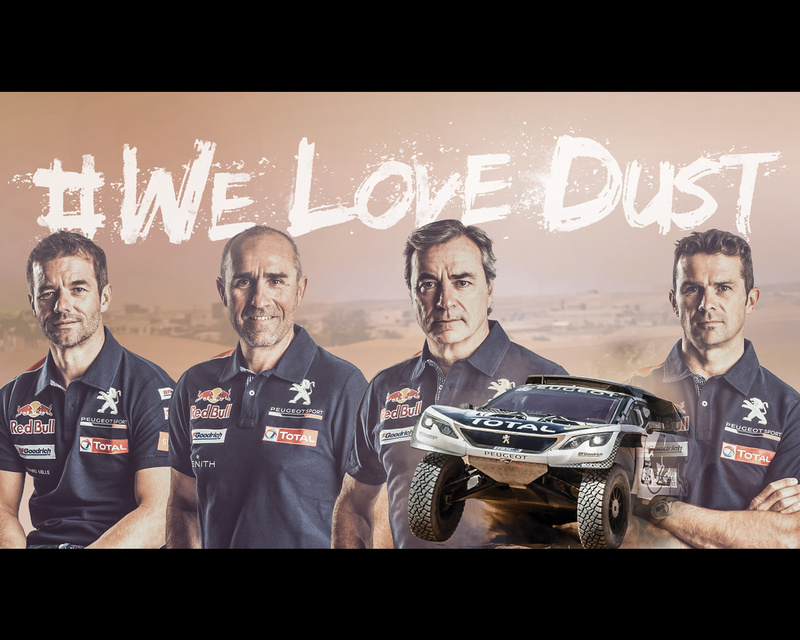 The potent combination of Peugeot, Red Bull, Total, Sparco, BF Goodrich and the most successful Dakar driver line-up in the world: Stéphane Peterhansel, Carlos Sainz, Sébastien Loeb and Cyril Despres, is well and truly back. · Stéphane PETERHANSEL/Jean-Paul COTTRET: N°300, yellow strip. 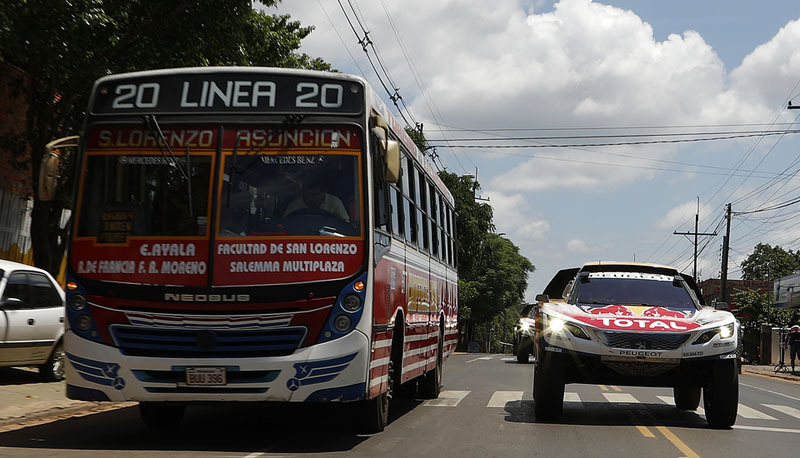 · Carlos SAINZ/Lucas CRUZ: N°304, blue strip. · Cyril DESPRES/David CASTERA: N°307, red strip. · Sébastien LOEB/Daniel ELENA: N°309, white strip.